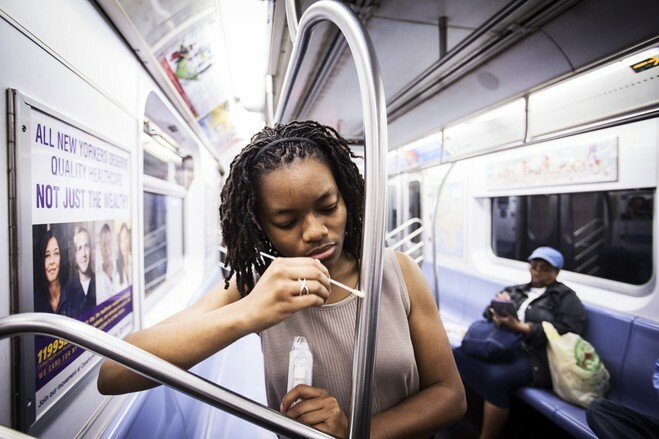 The big-data project, the first genetic profile of a metropolitan transit system, is in many ways “a mirror of the people themselves who ride the subway,” said Dr. Mason, a geneticist at the Weill Cornell Medical College. 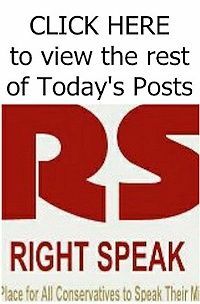 It is also a revealing glimpse into the future of public health. 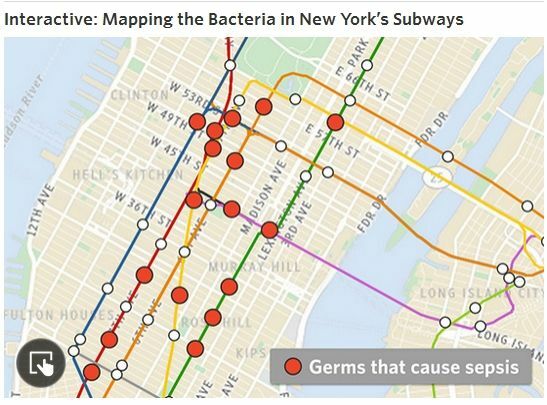 Across the country, researchers are combining microbiology, genomics and population genetics on a massive scale to identify the micro-organisms in the buildings and confined spaces of entire cities. By documenting the miniature wildlife, microbiologists hope to discover new ways to track disease outbreaks—including contagious diseases like Ebola or measles—detect bioterrorism attacks and combat the growing antibiotic resistance among microbes, which causes about 1.7 million hospital infections every year. 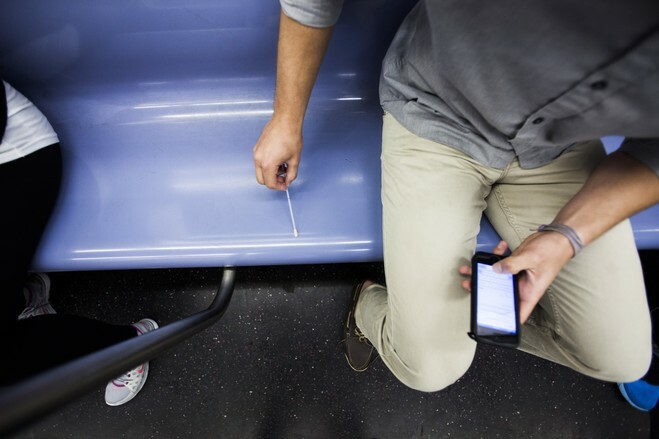 Dr. Mason and his research team gathered DNA from turnstiles, ticket kiosks, railings and benches in a transit system shared by 5.5 million riders every day. 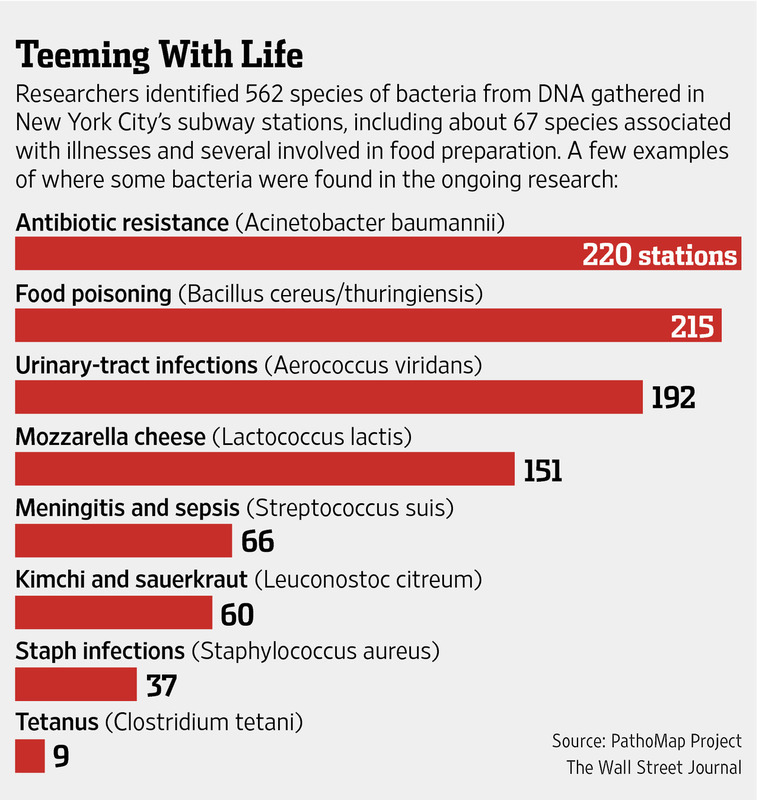 They sequenced the genetic material they found at the subway’s 466 open stations—more than 10 billion fragments of biochemical code—and sorted it by supercomputer. They compared the results to genetic databases of known bacteria, viruses and other life-forms to identify these all-but-invisible fellow travelers.